If you've ever wondered whether there was a Guinness World Record for the largest game of office bingo in the world, wonder no more. Mecca Bingo, one of the UK's oldest bingo operators, recently set the bar at a new record high at their Maidenhead headquarters. 235 employees of both Mecca and the company's parent operator, Rank Group, took part in an epic game that smashed the previous world record of 97. And it wasn't even just a publicity stunt. The event was set up as a fundraiser for the charity Carers Trust and succeeded in raising over £400! "Not only was this an opportunity to put our own bingo skills to the test, it was also a great way for us to help raise further funds and awareness to support the fantastic work that carers across the UK do." "The money raised by the team, combined with the amazing amounts of money raised throughout the year, will help Carers Trust to support thousands of unpaid carers through a grants fund, to give them the equipment and skills they need to carry out their caring roles, while also ensuring that their own health and wellbeing are looked after." Fundraising at the event was the main goal, but the marketing aspect can't be overlooked either – it's proven to be an effective way of gaining some publicity for Mecca, as well as giving people a gentle reminder of how much fun a few games of bingo can be. The UK makes up Rank Group's biggest revenue share – 94% in total. It's also a leader in the online bingo market, which has seen a huge increase in popularity since the advent of smart phones. As of last year, the remote gambling sector was worth around £4.5 billion, nearly a third of the combined grow gambling yield of the UK (£13.8 billion). Mechanised cash bingo, of the kind found in casinos and bingo halls, has been in steady decline since 2010. Prize bingo has been hit even harder. Although it has seen a slight increase in recent years, it's nowhere near the £400 million share of bingo revenue it had in 2010. These statistics are in line with general trends in the gambling world – real-life, physical betting in the form of slot machines and bookmakers is on the decline, as more people turn to virtual forms that are more convenient and accessible. The main stage appeal of bingo is what's keeping it alive. This style has stayed fairly consistent in terms of revenue share and even increased a little last year. 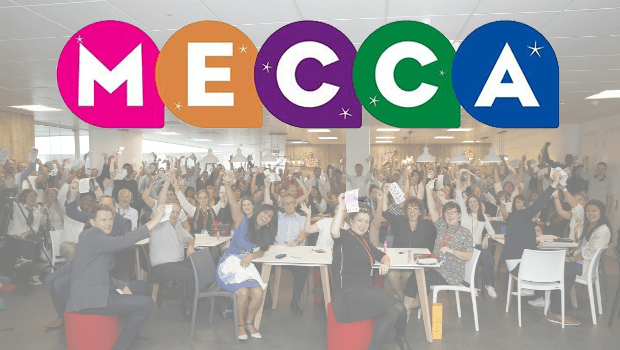 It would be easy to interpret Mecca's recent record breaker as a nod to this fact – live bingo still has a huge appeal thanks to the social interaction and entertainment value. There's another angle to the event; while it may come as a surprise if you're not much of a bingo player, the average age of today's bingo enthusiasts is a lot younger than you might expect. Over 30% of players are 25 to 34 years old, with only 12% over 50. This accounts for the fact that live bingo remains popular – a family event that's enjoyed by multiple age groups. It does a lot to dispel the myths of the game's following and shows that it's set to be around for a long time yet. Not many other games offer such a broad appeal. And, by breaking the world record, Mecca has ensured that bingo stays firmly on the map for punters looking for ever new (and clearly old-school) ways to play. Visit Mecca Bingo today to check the record holder's award winning bingo site!